Republican presidential nominee Mitt Romney's statement to an Ohio rally late Thursday that Chrysler is considering moving production of all Jeep vehicles to China was disavowed by Chrysler and blasted by the Obama team, but Romney's campaign has not indicated whether they knew the claim was inaccurate or whether Romney will continue repeating the debunked claim on the stump. On Thursday, Romney told a rally in Defiance, Ohio, site of a General Motors plant, "I saw a story today that one of the great manufacturers in this state Jeep -- now owned by the Italians -- is thinking of moving all production to China. I will fight for every good job in America. I'm going to fight to make sure trade is fair, and if it's fair America will win." The Republican was seemingly riffing on a series of right wing blog reports circulating Thursday that incorrectly interpreted a Bloomberg story from earlier in the week. Bloomberg reported that Chrysler was considering moving production of Jeeps sold in the Chinese market to China, but emphasized that Jeeps sold in the American market would continue to be manufactured in America. The confusion stemmed from the first paragraph of the Bloomberg story, which explained that Chrysler-owner Fiat "plans to return Jeep output to China and may eventually make all of its models in the country." The piece subsequently clarified that Chrysler was considering "adding Jeep production sites rather than shifting output from North America to China." A Chrysler spokesman scorned the misinterpretation as "a leap that would be difficult even for professional circus acrobats," explaining, "Jeep has no intention of shifting production of its Jeep models out of North America to China. It's simply reviewing the opportunities to return Jeep output to China for the world's largest auto market. U.S. Jeep assembly lines will continue to stay in operation." CBSNews.com emailed the Romney campaign to ask whether they knew the blog reports were inaccurate and whether Romney will continue using the inaccurate story on the trail. The campaign did not respond to those questions but insisted that "the larger point that the Gov. made is that rather than creating jobs here, the foreign owner, handpicked by President Obama, is planning to add jobs overseas - which is still true." Romney did not mention the report at a campaign event in Ames, Iowa this afternoon. Meanwhile, President Obama's campaign, which has sought to put Romney on the defensive regarding the auto bailout and sees the issue as key to its success in midwestern manufacturing states, slammed Romney for the misfire. "Mitt Romney shamelessly tried to scare voters into thinking Jeep was moving to China and taking American jobs with it," said Obama campaign spokesman Matt McGrath. "That is blatantly false, and speaks to how Romney will say absolutely anything to win votes." Mr. Obama and his campaign used the kerfuffle to segue to a broader indictment of Romney's stance on the auto bailout. "President Obama has fought on behalf of U.S. auto workers by challenging unfair Chinese tariffs on U.S. auto exports to China, including Jeeps, while Romney would have let the American auto industry and a million jobs go under," said McGrath. It's a charge that the president himself has leveled, both at the final presidential debate and on the stump this week. "If Mitt Romney had been president when the auto industry was on the verge of collapse, we might not have an American auto industry today. We'd be buying cars from China, instead of selling cars to China," said Mr. Obama in Cleveland on Thursday. 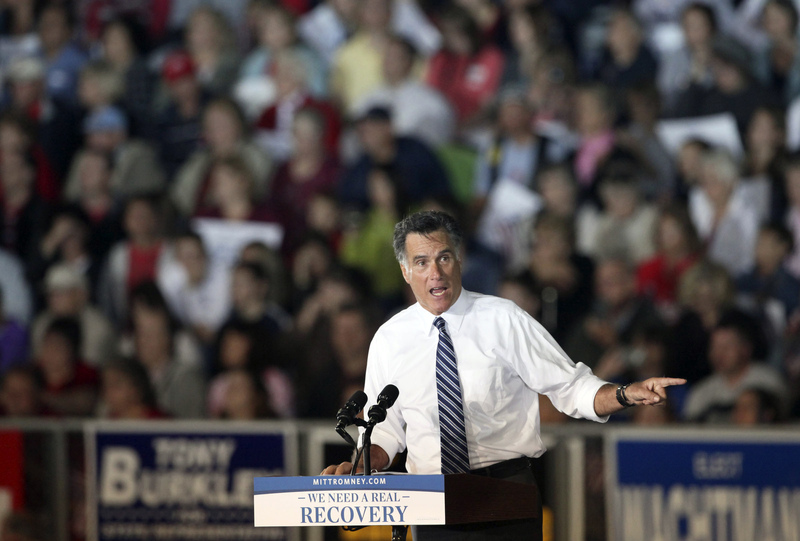 Romney has disputed this characterization, arguing that while he would not have provided government money to the auto industry, he would have provided government guarantees to encourage private financiers to loan money to the companies during a managed bankruptcy. At the time of the auto bailout, however, many analysts identified the government as the auto companies' lender of last resort. Private credit markets were frozen enough to prevent private lenders from extending a helping hand to the ailing companies, regardless of the insurance provided by a government loan guarantee. Without private or public money, a managed bankruptcy could have more closely resembled a liquidation process in which the companies were subdivided and sold, piece by piece, to the highest bidder. CBSNews.com's Lucy Madison contributed to this report.